An Adobe® Creative Cloud™ Student and Teacher Edition membership gives you access to all the latest and greatest Adobe creative tools, plus online services* and other new apps as they’re released. For a low monthly price – highly discounted for education – you get the freedom to create anything you can imagine. With the “Internet of Things Platform Starter” on Bluemix, students can securely connect their devices to the cloud and quickly start dashboarding, building and deploying their IoT applications with analytics and cognitive computing capabilities. No-charge, open access to an enterprise grade Linux environment for fostering innovations. Today’s mainframes are growing in popularity and require a new generation of mainframe experts. This contest is designed to equip students with basic skills to make them more competitive for jobs in the enterprise computing industry. Participation in the Master the Mainframe Contest Challenges could give you the edge you need. Further your learning experience by honing your skills in building with IBM Watson! Cognitive computing represents the next revolution in humans interaction with technology to improve experiences and outcomes. Parallels Access is the fastest, simplest, most reliable remote access to your computer from anywhere. Access all your applications, files, and computers in one place. Minitab 18 includes all the statistics and graphs needed for beginning through advanced courses within a user-friendly design that makes it easy for you to analyze data. Used by more than 90% of the Fortune 100 companies, Minitab helps prepare you for a data-driven world. Minitab 17 includes all the statistics and graphs needed for beginning through advanced courses within a user-friendly design that makes it easy for you to analyze data. Used by more than 90% of the Fortune 100 companies, Minitab helps prepare you for a data-driven world. JMP 13 is statistical discovery software from SAS that covers the statistics needs of most undergraduate and graduate curriculums, with a visual exploration paradigm that is both easy to use and efficient. The same features are available for both Macintosh and Windows systems, and the Academic version includes the same powerful capabilities that are used in the industry version of the software. SPSS Amos allows you to build attitudinal and behavioral models that reflect complex relationships. Systat Software proudly introduces SYSTAT 13, the latest advancement in desktop statistical computing. SYSTAT is a versatile and comprehensive statistical software package. It employs a staggering range of powerful techniques to help conduct many types of research. The XLSTAT statistical analysis add-in offers a wide variety of functions to enhance the analytical capabilities of Excel, making it the ideal tool for your everyday data analysis and statistics requirements. XLSTAT’s statistical analysis software is compatible with Excel versions from version 97 to version 2016 (except 2008 and 2016 for Mac), and is compatible with the Windows 9x till Windows 10 systems, as well as with the PowerPC and Intel based Mac systems. Norton Security Deluxe – Norton’s best protection for up to 3 PCs, Macs, Androids and iOS devices with a single subscription. Keeping kids safe online shouldn’t be the end of their freedom; it should be the start of an open conversation. Norton™ Family makes it easy for parents to have ongoing conversations with their children about how to build safe and smart online habits while also balancing the time they spend on their devices. Now you can give your kids the freedom to explore the good while keeping them away from the bad. And, you can protect them from sharing too much online, which can potentially damage their reputations, today and tomorrow. Research collaboration has taken on a whole new meaning in the digital age. Your team may be spread all over the world, with access to different resources, but you still need to work together in order to produce truly novel research. Time that could be spent advancing your research is spent on version control and reference management and everyone’s using a different tool to get the job done. NI LabVIEW is a graphical programming environment used on campuses all over the world to deliver hands-on learning to the classroom, enhance research applications, and foster the next generation of innovators. With the intuitive nature of graphical system design, educators and researchers can design, prototype, and deploy their applications. LabVIEW is the only graphical programming environment where you can easily, program the way you think—visually, easily connect to hardware and bring your design vision to life. 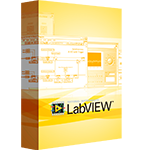 LabVIEW 2016 software provides you the tools to focus on the problem you need to solve, with new features to simplify your development. With channel wires—the latest innovation in data communication—you can pass data between loops with a single wire, no queues required. Harness all the memory of your OS when developing and debugging applications with five add-ons now supported with LabVIEW 64-bit. Multisim software is used with low-cost student hardware platforms to reinforce theory and design advanced projects. Integration to NI Hardware allows you to complete electronics labs from basic Ohms law to advanced filters. With NI Multisim and Ultiboard, you can complete homework problems faster, prepare for laboratory assignments better, and define entire circuit board design projects easier with the same circuit simulation and design tools used in industry. Only Multisim provides you the complete set of tools to learn analog, digital, and power electronics topics from introductory courses to graduation. The Circuits Design Suite Student Edition combines Multisim and Ultiboard to provide you access to powerful tools in an easy-to-learn and low-cost package. Check out the website here for more programs! Remember to keep your student card with you at all times. There are a lot of places that provide discounts to students!